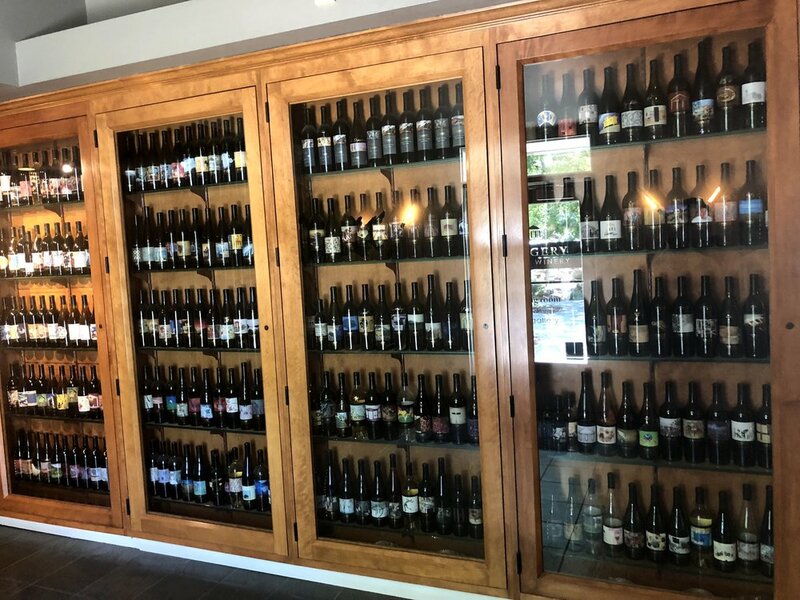 Unique varietals and wine blends. Every single label showcases an art masterpiece. 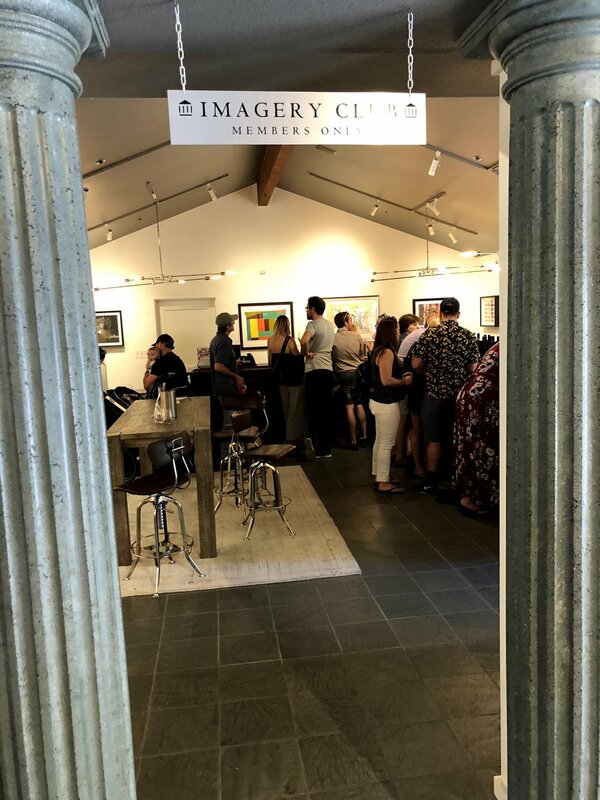 Imagery believes wine and ART is the perfect pairing. At Imagery there’s a dedicated onsite art gallery with about 60 pieces. Imagery is near downtown Sonoma in the town of Glen Ellen. A sister winery to Benziger which is about 5 minutes away. Joe Benziger, the founder and original winemaker of Imagery Estate Winery. Jamie Benzinger, his daughter, is now winemaker. Visit Benzinger or Imagery and get 2 for 1 tasting coupons so you can visit both. Open daily Mon-Fri 10:00am-4:30pm; Sat & Sun 10:00am-5:30pm. Almost all of Imagery wines are not for distribution, only sold at the winery. Main Bar Tasting $15 includes 5 samples. Fee is waived with a purchase of a bottle. Often they will allow you to customize your tasting, so ask. If you don’t remember to bring a picnic...no problem. Purchase Imagery deli items or pizza Sundays through October. 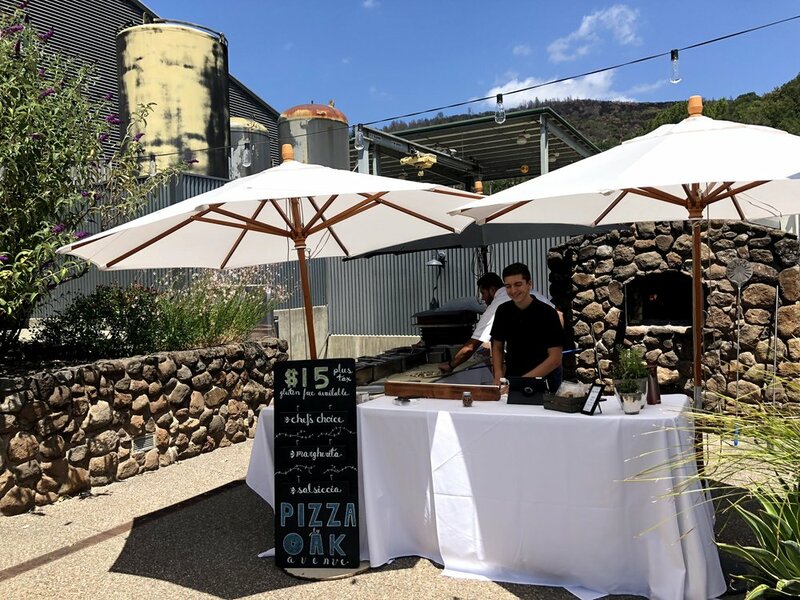 12:00pm - 4:00pm on the back patio, $15 for pizza. There is also a bocce ball court, bean bag toss, picnic area and gift shop treasures. Malbec, Barbera, Lagrein, Teroldego, Albariño. Reds are in the $45-$65 range. 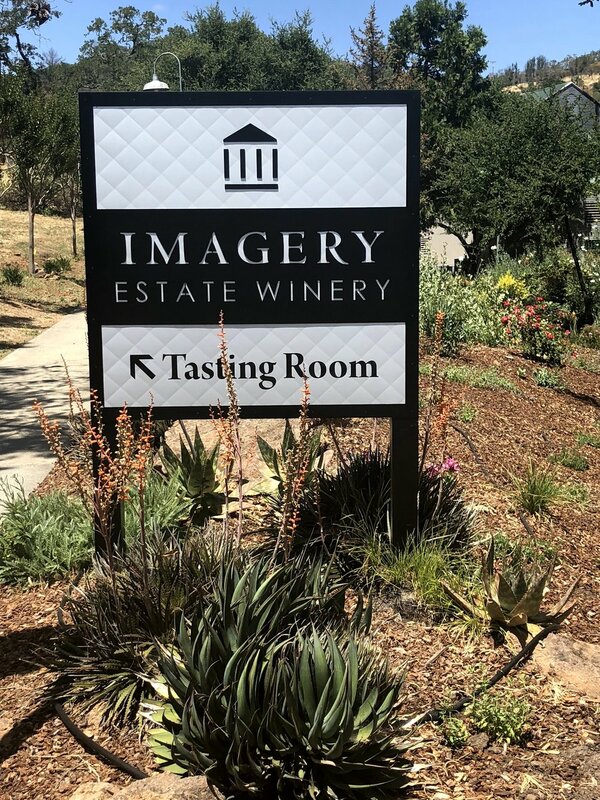 Imagery won 2017 Golden State Winery of the Year. 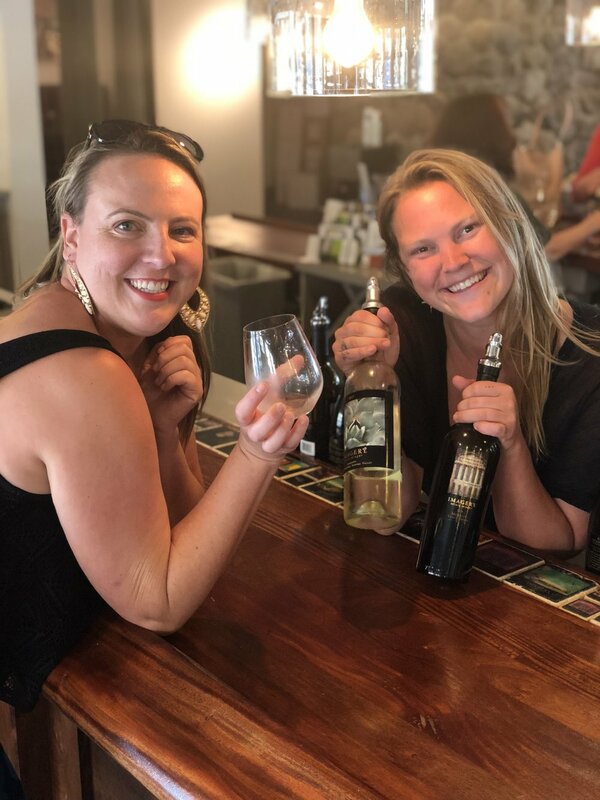 A major perk of being an Imagery wine club member? Access to TWO sites on the property for member only. The goal, to broaden your palate. Wines forged from a thirst for experimentation. Imagery Estate Tasting Room, home to one of the world’s largest wine label art collection. Apparently, at any given time, 35 artists work on artwork for future Imagery wine labels. These artists have free reign. No limits on size, medium or content. The art has to include some likeness to the Parthenon. The Sister property Benzinger has a Parthenon replica on site that’s been there since 1978. Imagery’s labels have a ‘Where’s Waldo’ type game for you. Who can find the Parthenon in the label? Some of the most recognized artists in the world have created art for Imagery. I visited Imagery on a beautiful Sunday with my best friend and her mom. I noticed many groups scattered about the property enjoying picnics and friend/family time. There is plenty of room for everyone to relax. My friend ended up with the coolest Swiss-army type knife. Specifically used to cut cheese and open wine. I purchased some champagne candy bears and a beautiful porcelain succulent. Walking through the art gallery while sipping wine was fun. I met one of the artists! He was signing bottles which showcased his artwork. We picked up some meat and cheese at their deli fridge. For a future visit I’d partake in the pizza.